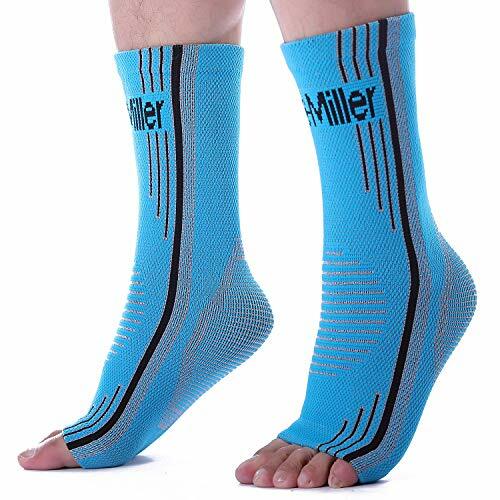 Our medical grade graduated compression in an anatomically correct foot sleeve to offer stabilization of the foot to reduce pain, swelling, and cramping by increasing circulation and reducing fatigue. ✅ You get two sleeves, wear on both feet to alleviate pain and prevent reinjury. ✅ Most of our users have reported immediate relief when wearing Newzill sleeves. Some even wear overnight to awake pain free. 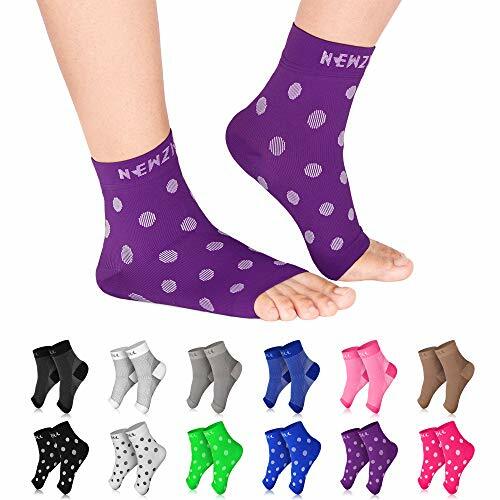 ✅ Available in five colors and seven sizes for the best fit and style. ✅ Our sleeves are made of thin, lightweight, breathable moisture-wicking micro-nylon material that is easily washable and retains its elasticity over time. If you don’t enjoy the socks you receive from us, we will immediately send a replacement or refund your money – really. Choose Your Size Now and Click on the Yellow “Add to Cart” button above for your quantity discount. SIZING CHART – ★WOMEN (S/M) 5-7.5, (L/XL) 8-12 ★MEN (S/M) 6-8, (L/XL) 8.5-13 ★ ‘Add to Cart’ to get your own pair. We want you to LOVE our compression socks! PRECISION DESIGN – The targeted ribbing arch support provides unmatched comfort and pain relief for your feet. We carefully designed and manufactured our compression foot sleeves to provide premium support, comfort, and pain relief without compromising your mobility. These pressure socks are form-fitting, lightweight, and breathable, which helps maintain joint stability regardless of activity. GRADUATED COMPRESSION – Unlike other sleeves, our sleeves apply graduated pressure (20-30 mmHg) with their snug fit design, and they improve blood circulation by reducing lactic acid build up, and like all the best compression socks, they provide optimal comfort and help improve muscular endurance. 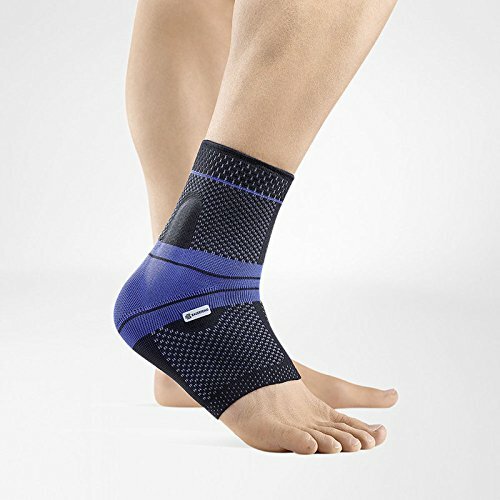 CLIMA-PRO TECHNOLOGY – Our ankle sleeves provide superior relief of plantar fasciitis, heel spurs, ankle/arch support, and foot pain. They can help to reduce blood pooling and banish discomfort, as well as help with Achilles tendonitis, edema relief, and heel pain. 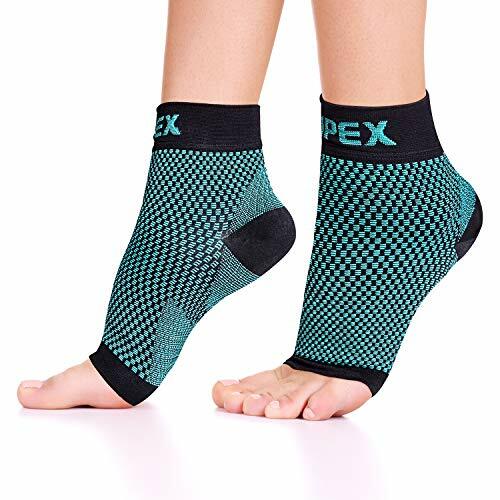 Our compression socks can be worn after a rigorous activity to help your feet recover and to reduce swelling and soreness in the foot, ankle, and lower leg. GET READY. TO BECOME A RAVING FAN! – We cut no corner in our product and will cut no corners in our support of you! You are making a very intelligent decision doing business with our company. We know you’re a big deal and we’ll only provide you with the finest product and service around or your MONEY BACK! Add your Newzill Planter Fasciitis Socks to your Cart and experience the Newzill customer experience phenomenon! Add to cart now to begin the amazing journey!